A good property manager is worth their weight in gold – especially if you are interested in saving money managing your rental property. That might seem a little counter-intuitive – how does paying someone else, especially someone who may charge more than the mom and pop shop down the street, save you money? The secret is in avoiding the pitfalls that can come with doing it yourself, or with working with a less-than-reputable property manager. A good property manager will have a strong application process that includes a credit / background check, calling references, and making sure there is nothing obviously untoward about any future residents. This can end up saving you on things like maintenance. While some types of maintenance are expected with any rental property, residents who do not treat your rental with respect can quickly cost you thousands during their time living there and even more when it comes time to make the home ready for the next resident. A good property manager will have both the processes in place and the experience to pick the best residents possible to live in your rental. 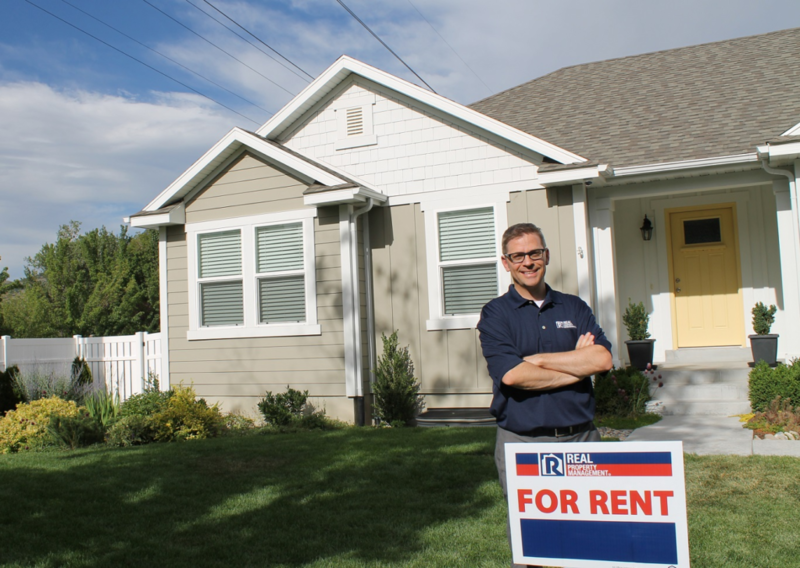 Beyond finding great residents, another key way that a good property manager saves you money is by ensuring that you have a steady stream of rent coming in. A good property manager will have shorter vacancy cycles because they have a team and process in place to advertise, market, and hustle to fill vacancies as quickly as possible. Vacancies are one of the number one ways that you can lose money with a rental property. You are still paying the mortgage, but no money is coming in. In addition, once you have a resident, a property manager will help with the logistics of getting that money to you – avoiding late rent collection that may hurt you if you are trying to pay your bills on time. As mentioned above, some level of maintenance is always going to be unavoidable. You don’t want to take the short-view and not keep up with upkeep of your rental – no one wants to live for a slumlord. Knowing that you will need to work with a number of maintenance vendors throughout the lifetime of your rental, a good property manager can save you money by using their vetted list of vendor partners. Rather than choosing someone at random, a good property manager can take the guesswork out of it and use vendors that they know from experience are licensed, do quality work at the best price, and the property manager will take care of the coordination with the vendor and resident so that you can rest easy. Whether you’ve actively chosen to invest in rental property, or just fell into it, hopefully you are taking advantage of all the benefits available to you – including reducing your taxes through property depreciation. While having a property manager is not a requirement for being able to depreciate the property itself or capital expenditures (that new refrigerator you bought this spring, or the new driveway you’re putting in next year), having a property manager on your side is really like having a sales person, marketing coordinator, maintenance person, and bookkeeper all rolled into one. A good property manager can help you keep track of what money you’ve re-invested in your property, so that you have good records come tax time. Your tax accountant will thank you, and so will your bank account when you maximize your tax write off. Your property manager will keep records of all income and expenses that you always know how your investment is doing. Beyond the tangible benefits that lead to more dollar signs in your bank account, there is also another very real benefit to partnering with a property manager – if you’ve ever been a DIY landlord, you’re well aware of how time-consuming and unpredictable it can be. No one wants to be the emergency contact when there’s a maintenance request at two in the morning! You don’t want to risk giving up your time off or your nights, weekends, and holidays to deal with resident issues. Even if you are a workaholic – how much is your time worth? There are almost certainly better things you could be doing. A reputable property manager may not be the cheapest option at first glance, but in the big picture they will save you money. By using their experience to your advantage, they are your best ally for maximizing the benefit you receive from your properties. Contact Real Property Management Pittsburgh to find out why we are the best at what we do and how we can help you more effectively manage your rental property. I like how you point out that a good property manager will help you save money by using a vetted list of vendor partners. They’ll also help your tenants have someone to go to if something goes wrong or there’s a problem. You’d just need to find the right property manager to use. Working with a property management company seems like a great idea. I like how you said that they act as a sales person, marketing coordinator, and everything else all in one! We’re hoping to rent out our second house, so I’ll have to look into this some more.